Plight of Mental Healthcare in Nigeria – Royal Times of Nigeria. In 2003, mental healthcare in Nigeria was nothing short of dismal. With a population of over 120 million, Nigeria had less than 100 psychiatrists. 15 years later, one would think these statistics have improved. Unfortunately, they remain the same as we have only one psychiatrist for every one million Nigerians. This is the current state of mental healthcare in Nigeria. According to medical health officials the reason for this is that only a small number of medical practitioners specialise in that area. This shortage has nothing to do with a lack of opportunities, however, as the high rate of divorce and depression in Nigeria creates several opportunities for mental health specialists. What this unfortunately implies is that healthcare professionals are not nearly as concerned with matters of mental health as they should be. The stigma against mental illness in Nigerian society also poses a threat to the health of those in need. From the professional to the personal, a mental health diagnosis constitutes a label that strips individuals of their abilities to live a normal life. All of this serves to create an atmosphere of hostility and abandonment for all those in need of mental health support in Nigeria. Those who stigmatise mental illness often fallaciously claim that such problems are only restricted to ‘mad’ people who demonstrate on the streets. But this could not be any farther from reality. 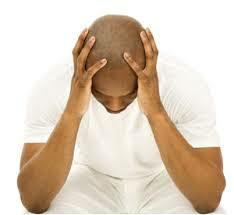 An estimated 20-30% of Nigerians currently suffer from mental illness. 22% of Nigerians suffer from chronic depression. Nigeria is ranked the 10th most suicide-prone country in Africa and the 30th in the world. We can no longer continue to ignore this issue. Mental health problems threaten the lives of our people every day and all we seem to do is stigmatise them and ignore their needs. The federal government must oversee the professional training of and provision of up-to-date facilities for mental healthcare workers. In addition to that, there is a need to re-educate the public regarding the nature and implications of mental illness. Facing mental health challenges is not evil. The true evil is marginalising those who do. May God Bless our beloved Country, Nigeria.